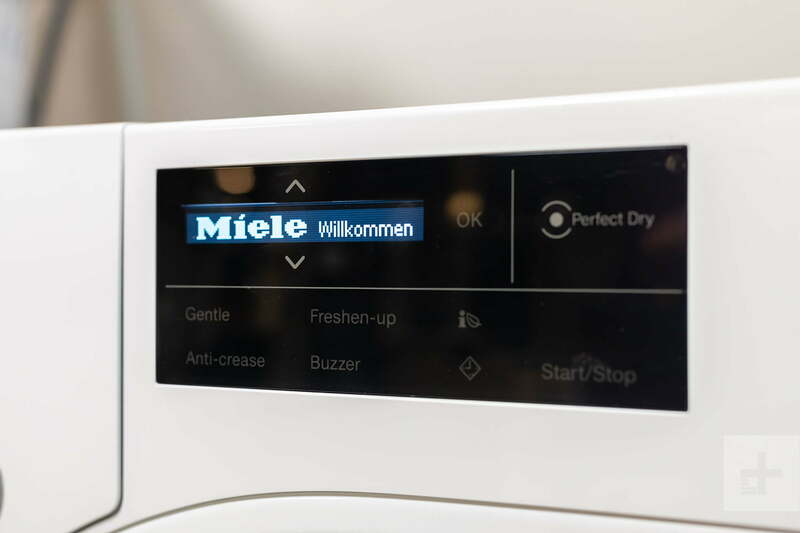 The Miele WWH860 washing machine a tiny but powerful appliance. 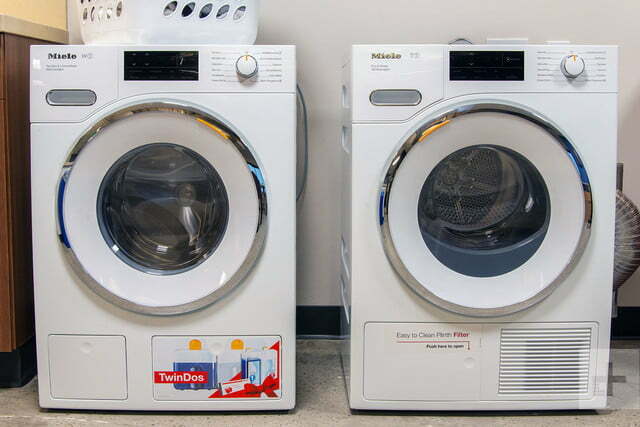 Looking for a high-end washing machine that fits a tiny footprint? The Miele WWH860 has got you covered. 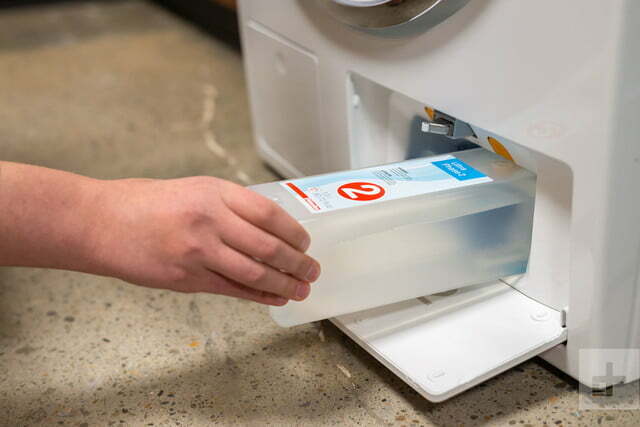 With its TwinDo automatic detergent dispensing system, you’ll never have to manually measure out washing detergent again — but you can, if you want to. Looking for this washer’s companion dryer? 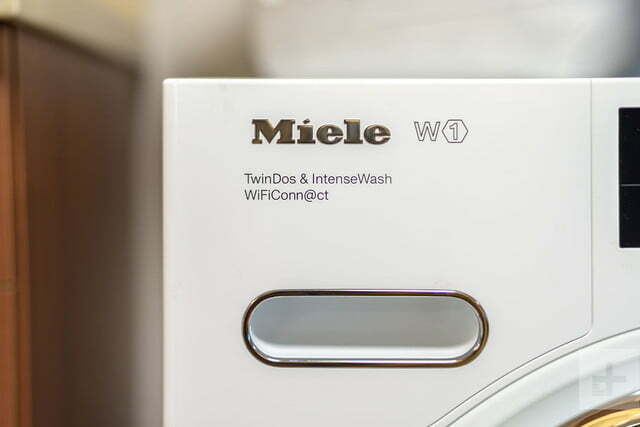 Check out our Miele TWI180 WP dryer review. 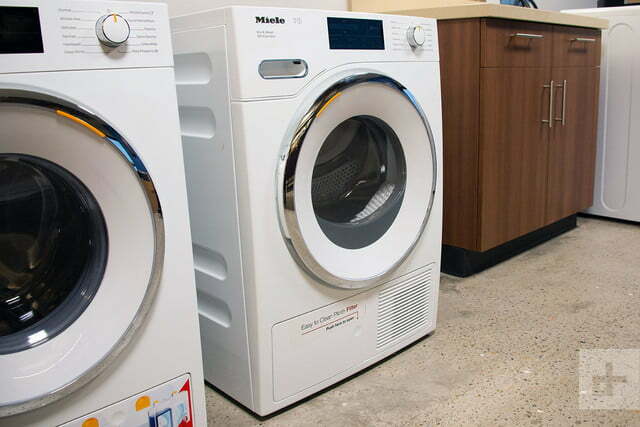 Or are you seeking a list of the best washing machines? At first glance, the white washing machine screams modern style. It’s not until you start washing clothes in it that you realize just how diminutive it is. 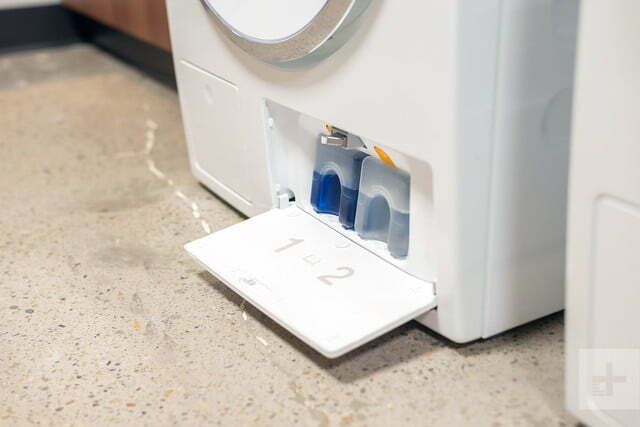 The washer measures 33.5×23.5×25.31 inches (HxWxD) so it sits a bit lower than a standard counter but is narrow enough to fit into a linen closet. 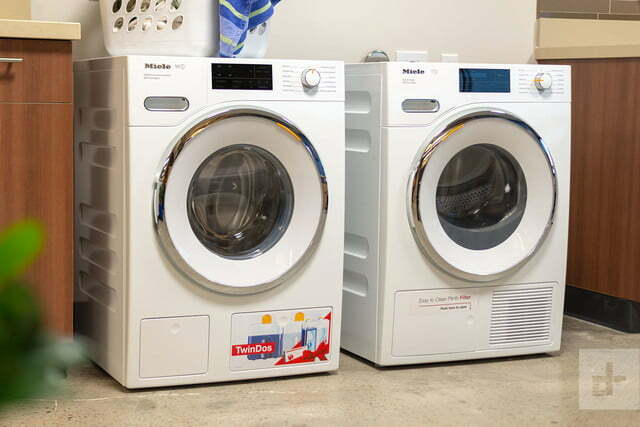 The companion dryer, the Miele TWI180 WP, is about the same size. The size of these appliances makes them friendly to smaller homes and apartments, where more traditional appliances won’t fit. However, the size means you won’t be putting more than maybe three shirts and two pairs of pants before it starts to get crowded. This machine is tiny. The digitized control panel and program selector are straightforward. That is until you try to use the mobile app setting. 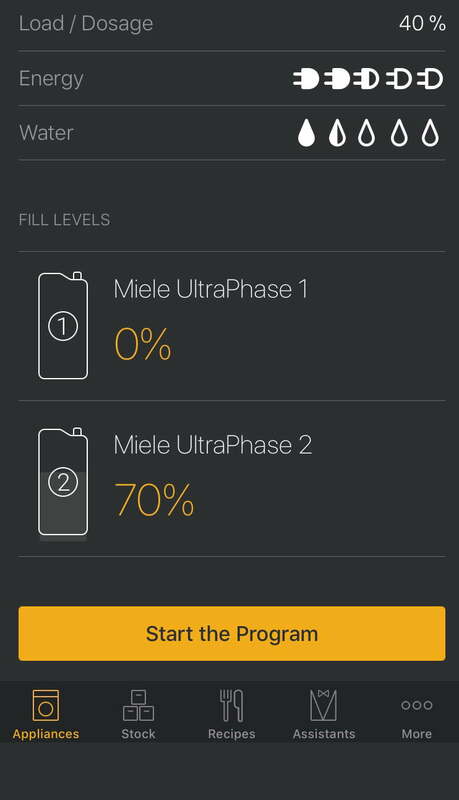 The biggest issue is that you can’t easily change the setting once the clothes are loaded – especially if you selected the MobileControl option. In that case, you have to physically power off the machine and start all over again. A word about the MobileControl, we were able to get it to connect, but you had to reconnect each time you used it and this process was far from intuitive. 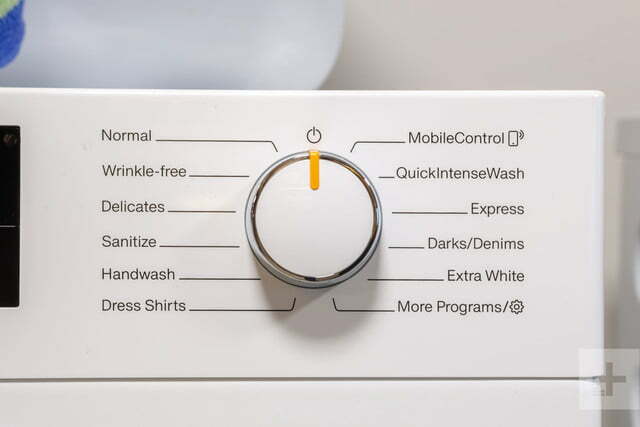 No one can say this petite washer doesn’t have a lot of options. It has way more than we expected. 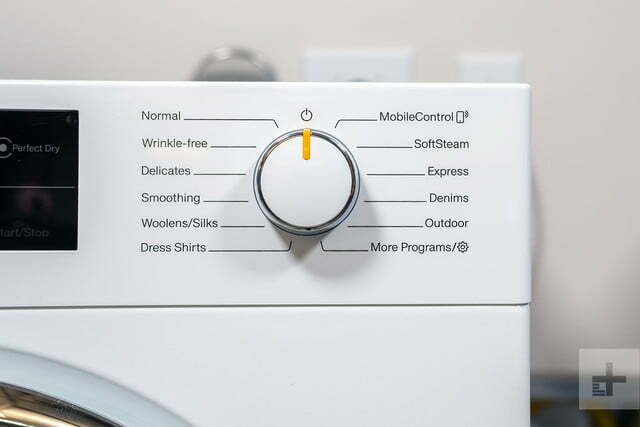 The program selector includes settings for Normal, Wrinkle-Free, Delicates, Sanitize, Handwash, Dress Shirts, Mobile Control, QuickIntenseWash, Express, Darks/Denims, and Extra White. If that’s not enough, select the More Programming option to get settings for outdoor, Table Linens/Drapes, Sportswear, Woolens, Silks, Proofing, Drain/Spin, Separate Rinse, Baby Clothes, Towels, Pillows, and Downs. 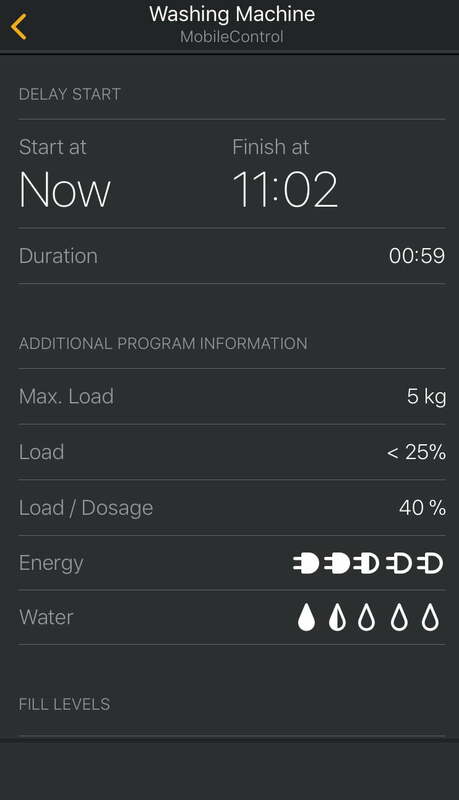 The digital display pad shows the current cycle details, illuminating relevant icons, and estimated time the load will take to complete. Once you get the hang of the controls, the Miele is pretty easy to operate. 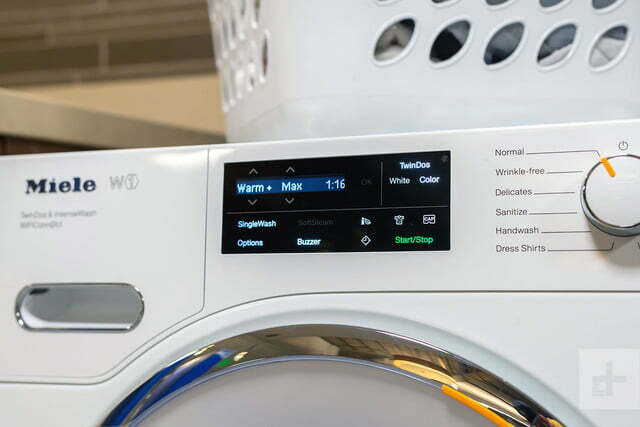 Simply select the program you want to run, and then use the touch up/down arrows on the display to make any final selections, including delaying the wash or starting it immediately. 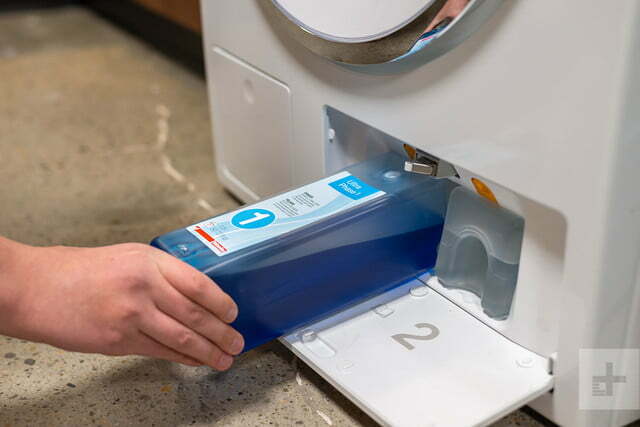 The machine takes care of the rest, including dispensing the detergent into the honeycomb drum at the right times during the cycle. This model supports the TwinDo’s detergent, which is essentially two plastic (UltraPhase 1 and UltraPhase 2 – a bleach alternative) that slide into the bottom of the machine. 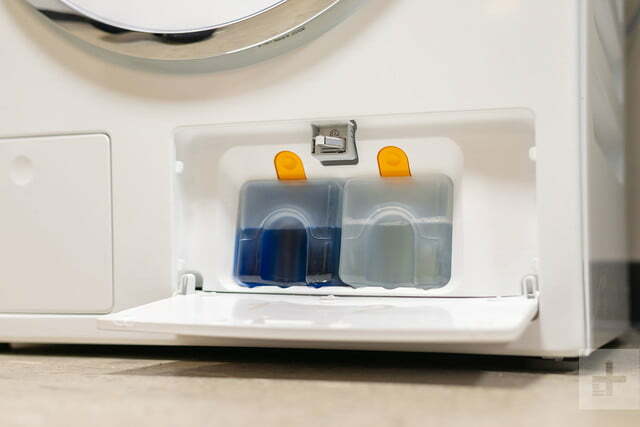 After judging the amount of soil, textiles, and amount of laundry it will dispense the right amount of detergent at the right time. 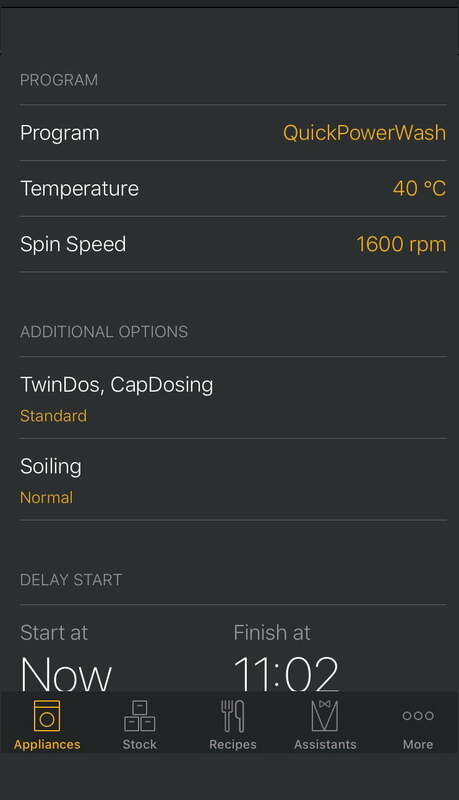 You can also add your own detergent if you don’t want to use the TwinDos. The biggest issue is that you can’t easily change the setting once the clothes are loaded. We washed a variety of loads over a couple of months and were fairly satisfied with the results. To put it to the test, we did a load of stained items that had been covered in coffee, ketchup, BBQ sauce, and canola oil. We rubbed in the condiments fairly well into the clothes and let them sit for 15 minutes with no pretreating before adding them to the machine. The Miele was set for the Normal wash cycle that took about 33 minutes to run using the TwinDo detergent option. There are faster settings, but we wanted to see what the average cycle could do. Overall, the clothes came out pretty clean. Only the white t-shirt had a minor residue of the BBQ sauce. There really is something to that honeycomb drum design, which is also supposed to be easier on fabrics. 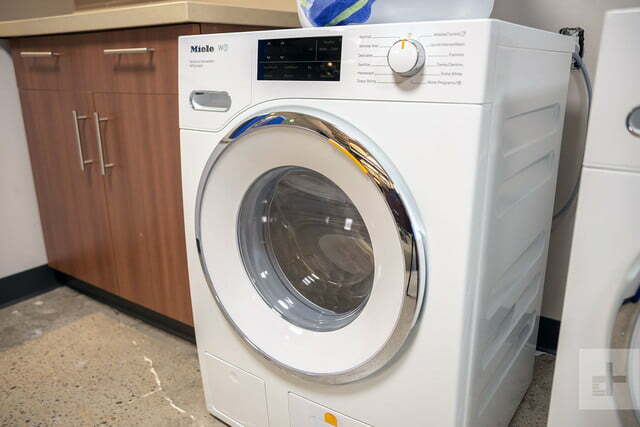 We want to make clear that his machine isn’t your typical household washing machine – instead, it’s made for those who have apartments, tiny homes, or otherwise small spaces. It won’t hold more than perhaps four towels. But if you’re seeking a smaller machine, this one does the trick. This Miele WWH860 comes with a limited one year warranty. 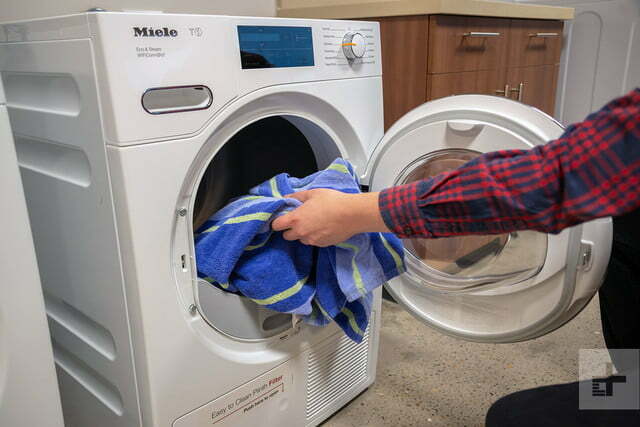 The Miele washing machine does a solid job of getting clothes cleaned, but due to its size you can’t wash a lot of clothes at once. But, if you live in small quarters and are in need of a washing machine that provides a bevy of settings, this will do the job fairly well. 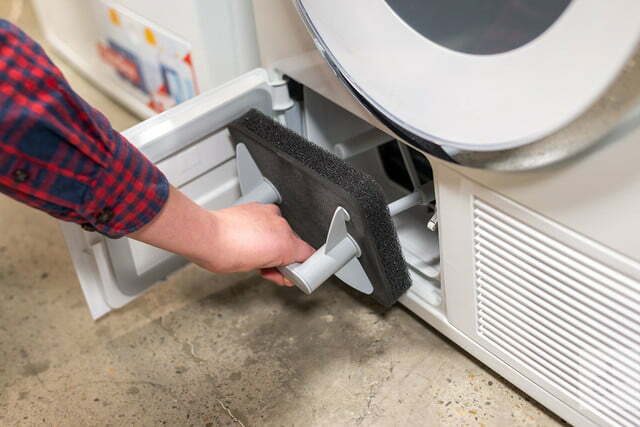 There are a variety of 24-inch washers available that cost a lot less, including models from Bosch and Electrolux that offer high-end features and cost about half the price. Top loaders typically have a longer life than front load washing machines. Still, according to the experts, this front loader model should last up to 14 years, but probably closer to 10 years. If you have deep pockets and a home with a small footprint, this machine will likely make you happy. But at almost $2,000 you will be paying more for luxuries like auto dispense detergent and smart capabilities.